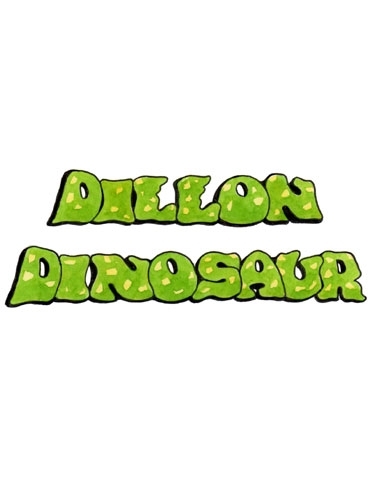 The A4 laminated cut outs of the prints of the Dillon Dinosaur title and of the 6 main characters, Dillon, Don, Arnold, Marmaduke, Meg and the Park Keeper who are included in the Dillon Dinosaur stories could be placed on a notice board, cupboard, wall or door in your bedroom or playroom. Each image costs £2.50 but a set of 7 may be purchased here at a discounted price of £15.00. The delivery charge for one image or for 1 - 4 sets of the images despatched at one time to an address in the UK is £2.10, to Europe £2.70 and to the Rest of The World £4.30.The images will be despatched by Royal Mail, First Class Post or by air mail if outside of the UK. Images may be purchased by clicking on one of the order buttons below. A laminated copy of the image on the left of this screen may be purchased by clicking on the 'add to order' button below. However, if you wish to purchase a laminated set of the printed images of the Dillon Dinosaur title and the 6 characters, please click on the 'purchase set of 7 images' button below.